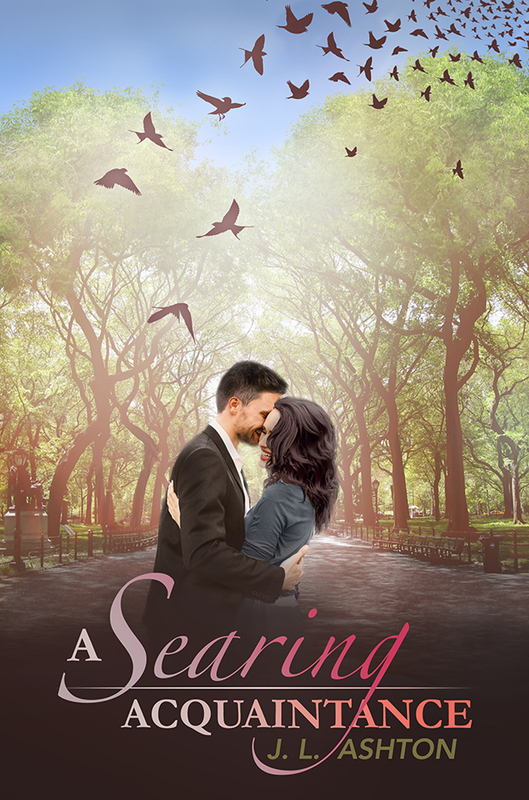 J. L. Ashton has just released her debut novel A Searing Acquaintance and I’m very happy to be receiving her today at from Pemberley to Milton with an interview and giveaway promoted by Meryton Press. I didn’t know J. L. Ashton before the release of her book, and to be honest, I haven’t read A Searing Acquaintance yet, but when I got the chance to interview her, all I could think of was “why haven’t I read anything from her before?”. After so many years of imagining variations of Pride and Prejudice, what prompted you to write A Searing Acquaintance? How many of us have read books or stories that, after we put them down, stay in our heads and lead us to imagine unwritten scenes or a continuation? That was me when I was a kid. I grew out of that mindset until I read a story at Firthness—the first JAFF site I found—that prompted me to start imagining my own what-ifs for Pride and Prejudice. When I started writing JAFF stories, I think I always had a specific Darcy in my head. I don’t mean an actor or a face but the kind of good but flawed ideal man we all adore. My first (unpublished) story, By The Numbers, is a softer, lighter version of a modern Darcy and Elizabeth. I wondered how a Darcy who was really damaged by losing his parents but retained the essence of the man we all love and admire, would live in the modern world, and an Elizabeth, who carried her own baggage, would thrive as a successful young woman. And of course, how they would affect each other. There are several sub-genres in JAFF, why a modernization? My earliest short JAFF stories were moderns; they were a nice way to ease into writing fiction. And although I’ve now written a few regencies and I love reading them, the stories that made me really fall in love with JAFF were a couple of moderns. They each took Elizabeth’s POV and never took us inside Darcy’s head but still made clear his passion and his love for her. Now I admit, I can’t write a story without peeking into Darcy’s head or writing light comedy into the dialogue, and I wasn’t sure about comic banter in a regency. More importantly, the key turning point in A Searing Acquaintance, their early physical encounter and what both take from it (or don’t remember), could not take place in a regency. I wanted to explore how rejection, or the perception of it, haunts one character while the other has spent his life not trying to be accepted. And of course, explore what happens during the happily after ever. What can you tell us about A Searing Acquaintance? It’s about as faithful a modern re-telling of Pride and Prejudice can be…except for a lot of incidentals, comic banter, allusions to pop culture, sexual innuendo, and even more tangled, tragic family dynamics than Jane Austen provided for Elizabeth Bennet and Fitzwilliam Darcy. Which were your main obstacles and achievements while writing your first novel? Oh, I am a terrible outliner and planner, and a world-class procrastinator. I am what another author calls “a guerilla writer:” I have a deadline and must write to meet it, so I do. I like to put myself under pressure and writing this story and posting it as I wrote it really made me focus. Also, a lot of the bits of dialogue, character observations or key plot turns will pop up in my head when I’m driving or in bed, and so I filled my phone with notes and random bits. I was posting chapters of this story weekly at A Happy Assembly and flying by the seat of my pants. The fact that so many readers praised the continuity and seamless flow was hugely gratifying and their comments really pushed me. So far, A Searing Acquaintance has been a success with a 5 star rating at Amazon. Where you expecting such a warm reception from readers? It’s been unexpected, and so heartwarming to receive such lovely reviews and to see people buying the book. I am a total neophyte in all of this book publishing business; I’m a reader! I read a lot of fiction and biographies, and got started buying JAFF books back in the early 2000s—Linda Berdoll and Pamela Aiden—and continue to buy both moderns and regencies. I know regencies are more popular with readers and book buyers, and my book doesn’t have a special setting or hook like a lot of JAFF. So I am really happy that my modern take on my favorite novel is resonating with readers. You mentioned in one of your posts that you like characterization. In your perspective, which is the most challenging character to develop in Pride and Prejudice? Elizabeth Bennet, definitely. Pride and Prejudice gives us an outline and impressions of Darcy and we get to fill him in and choose his colors, etc. With Elizabeth, we have much more to work with from canon, but I think it’s hard to capture the Elizabeth Bennet that JA gave us. We imprint her with our own point of view or behaviors, or borrow or emphasize others. And who is a modern Elizabeth Bennet? The social gulf between regency Darcy and Elizabeth is clear enough. Recreating that same structure dividing them in modern times is a tall order. There are stories that make it more of a Cinderella story and bring together a waitress/secretary and a billionaire but I tend to lean away from fairy tales and more toward a modern Elizabeth like the women I know: smart, funny, curious, made for happiness, and driven to do well and be fulfilled in whatever career she pursues—the kind of woman a Darcy would be drawn to. And that is hard work to make believable, not whiny or unlikable or shrill. I was so happy when I had feedback from readers telling me how much they liked Elizabeth, or that she felt real to them. It’s curious you mentioned Elizabeth is the most challenging character as I believe she is the one that changes the most in JAFF books. It seems each author has its own interpretation of Elizabeth, unlike Darcy who is, generally speaking, always the same. Now, we know how your Elizabeth is going to be, but what about Darcy? How is your Darcy in A Searing Acquaintance? I don’t subscribe to the “Darcy is Shy” school of thought, but I do think he is introverted, and quiet, and something about Elizabeth Bennet unnerves him. Weird tangent: I was very young when I read The Godfather; that is the first place I ever heard of “the thunderbolt,” which hits a man when he lays eyes for the first time on the woman he loves and (hopefully) marries. Strange as the connection may be, I apply that Sicilian theory to JA’s Darcy. In canon, he notices Elizabeth and dismisses her, but just as quickly he begins to notice her again and has to fight to stop noticing her. I doubt he has ever had to try to flirt or charm a lady; in London, they fell at his feet trying to gain notice. But he is “at risk”—or as we say today, vulnerable—to Elizabeth Bennet. In A Searing Acquaintance, he is not only vulnerable to her almost from their first meeting, he is just rather vulnerable, emotionally. But Darcy is pretty sealed off and reticent. He has an especially painful family history he never talks about, yet at Netherfield, he reveals himself to Elizabeth. His story, and her “lack of remembrance” of it, is part of what triggers the entire plot of A Searing Acquaintance. And the villains, can we expect the usual ones, or will there be any new villain in this story? What is the best gift readers can give you? Anything you would like to share with them? Reading my work, and telling me what struck them or stayed with them—good or bad. I know I am far from a perfect writer, and I love hearing how other people view my interpretation of Pride and Prejudice. And I’d like to thank them for reading! Smart, educated people are fools in love, especially when they’re mired in denial and misunderstanding. J.L. Ashton didn’t meet Jane Austen until she was in her late teens, but in a happy coincidence, she shares a similarity of name with the author and celebrates her birthday on the same day Pride & Prejudice was first published. Sadly, she’s yet to find any Darcy and Elizabeth candles on her cake, but she does own the action figures. Like so many Austen fans, Jan was an early and avid reader with a vivid imagination and a well-used library card. Her family’s frequent moves in the U.S and abroad encouraged her to think of books and their authors as reliable friends. It took summers in London, a history degree, and another decade or two for her to start imagining variations on Pride & Prejudice, and another decade—filled with career, marriage, kids, and a menagerie of pets—to discover the world of JAFF. 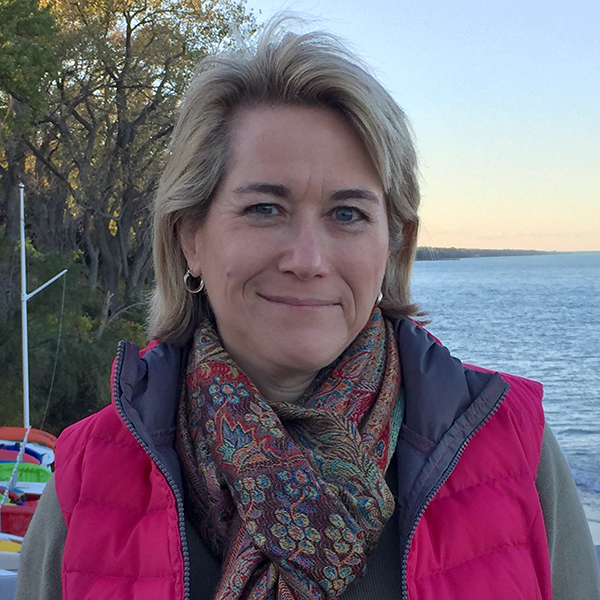 Today, in between writing Jane Austen variations, Jan lives and works in the Chicago area, where she volunteers far too often and is a member of the local and national chapters of the Jane Austen Society of North America. A Searing Acquaintance is her first book. I hope you want to read this book as much as I do, and in e you do, you have an opportunity to win a free copy! Thank you for the giveaway! Looking forward to reading your story. sounds fun: It’s about as faithful a modern re-telling of Pride and Prejudice can be…except for a lot of incidentals, comic banter, allusions to pop culture, sexual innuendo, and even more tangled, tragic family dynamics than Jane Austen provided for Elizabeth Bennet and Fitzwilliam Darcy. Always fun to gain insight into the writer behind the book and further thoughts on the book itself. Makes me want to read it even more. Wonderful interview. I am looking forward to reading this one. I really enjoyed the author interview, thanks to you both, ladies! I am entirely with you in the ‘Darcy isn’t shy’ camp. Elizabeth knows shyness when she sees it, she recognises it in Darcy’s sister yet she doesn’t attribute it to him. I feel that people consider him as shy because it minimises his less attractive attribute of pride, but it’s right there in the title of the book, and he works to overcome it. Best of luck with the book! I love author interviews! This was a great one. Thanks, Rita, for hosting a wonderful site. Looking forward to checking out your book. I like how you describe it. Off to Amazon now to put it on my wishlist. Each time I read one of your interviews, I know I will like this book. Thanks for the free offer. Looking forward to reading it. Thanks, ladies! I loved reading this interview! This story sounds wonderful! Would love to read it!!! Lovely interview Rita and Jan. I love hearing about the way writers write and the process of developing a book, it’s story and characters. Thanks for the giveaway. I’ve been hopping backwards and forwards with this blog tour and just catching up on a few of the stops I missed! Great interview. Looking forward to reading this novel!